Dr. Alkaitis’ Organic Herbal Toner is a firming and balancing natural facial toner that deeply hydrates. 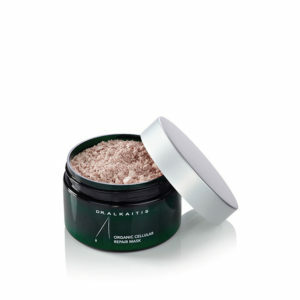 It strengthens the skin to prevent blemishes, refines enlarged pores and combats aging. This treatment is also anti-inflammatory, supports healing burns and is an excellent after sun tonic. 4 fl oz (120 ml) | 100% active | Two-month supply Recommended for all skin conditions, you can use this toner daily in the morning and evening. After cleansing your skin dispense a dime-size amount of the toner in the palm of your hand and gently apply over your face, using only your fingertips. If you have an oily skin complexion, you can use the Herbal Toner as a moisturizer to promote a satin-like, shine-free complexion. Because our Organic Herbal Toner is created with living ingredients, always put a lid on the bottle after use to preserve the purity of your natural, organic product.